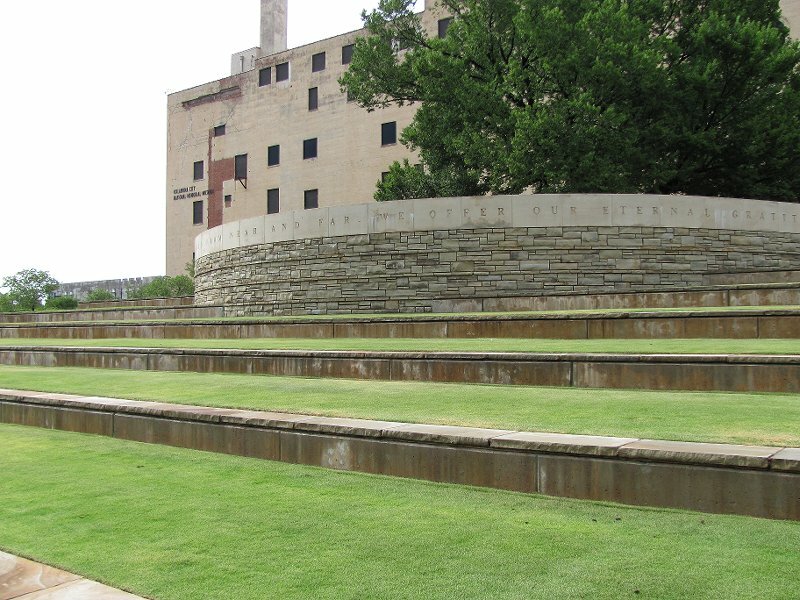 Oklahoma City National Memorial, Oklahoma City, Oklahoma, USA — This memorial, located near the center of the downtown, recalls the worst home-grown terrorist plot in United States history. 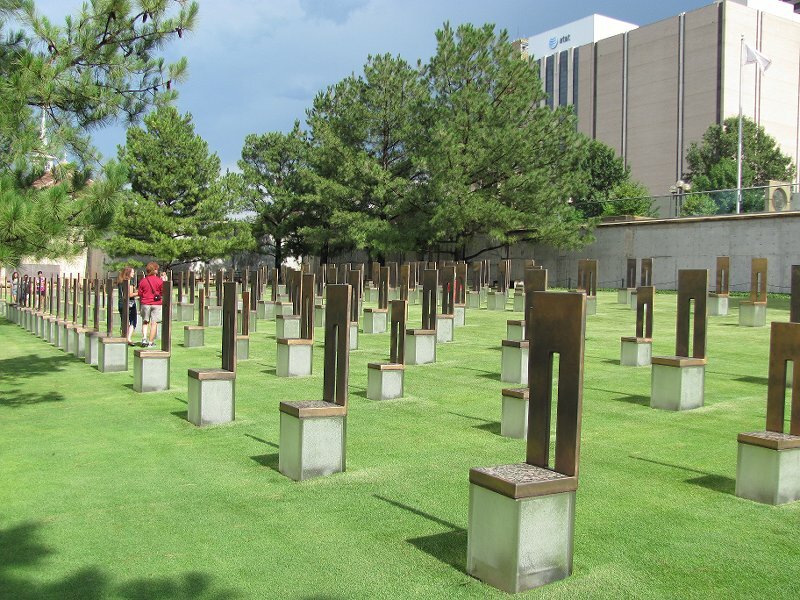 On April 19, 1995, at 9:01 AM, the Alfred P Murrah Federal Building exploded and 168 people were killed, in a horrific act of destruction perpetrated by Timothy McVeigh (later executed). 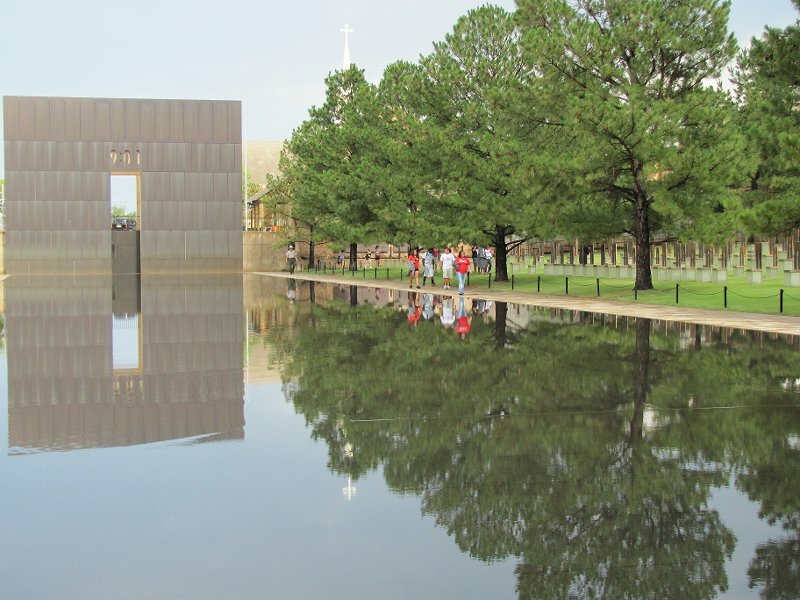 The Memorial is composed of several sections which commemorate an event or group involved in the overall tragedy. 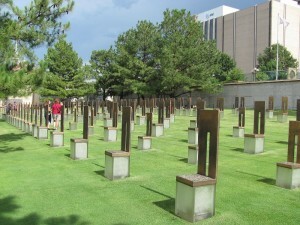 For instance, there are 168 empty chairs signifying those who lost their life in the bombing. 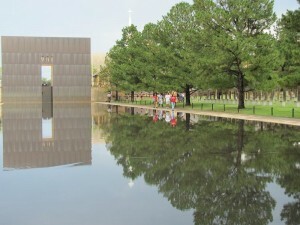 Another section of the memorial emblazons the fatal minute (between 9:01 AM and 9:02 AM) during which the devastation occurred. 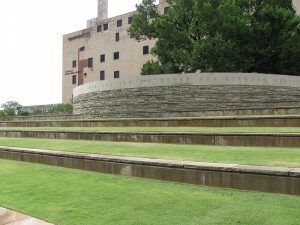 The Survivors’ Tree commemorates those who made through the ordeal. This entry was posted in Photo Albums, World's Greatest and tagged World Travel. Bookmark the permalink.